Fennovoima has narrowed its reactor selection to EPR and ABWR and added seven new shareholders. 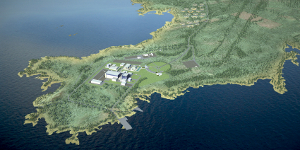 The company has approval to build a new nuclear power plant in Finland and is considering two sites on the country's west coast: Simo and Pyhajoki. Both have been shown to be suitable in terms of environmental impact as well as local support and Fennovoima plans to make a final choice next year. The reactor technology to be used has made an apparent step forward with the signing of 'technical development agreements' with Areva and Toshiba regarding their EPR and ABWR designs. The work will "ensure that these reactors fulfill both the Finnish safety requirements and Fennovoima's own technical requirements." An EPR is already under construction at Olkiluoto for the consumer-owned utility Teollisuuden Voima Oyj. Fennovoima has also previously considered Areva's Kerena boiling water reactor (previously known as the SWR-1000). It expects to make a final technology choice in 2012 after a competitive bidding process, covering "issues related to implementation and commercial matters." Already holding a government Decision-in-Principle for a new nuclear power plant, the main regulatory hurdle remaining is for Fennovoima to be granted an actual construction license - hoped for in 2012. Power generation is slated for 2020. Following the 'Finnish model' of finance, Fennovoima is a project company primarily owned by industrial power consumers and resellers. While EOn has a major stake of 34%, the rest is held by Voimaosakeyhtiö SF which counts 69 organisations as its shareholders. Late last week seven new companies were welcomed as Voimaosakeyhtiö shareholders. Four are municipally owned utilities in northern Finland (Haukiputaan Sähköosuuskunta, Keminmaan Energia, Raahen Energia and Tornion Energia), two are private utilities (Lammaisten Energia and Naantalin Energia). The last is Talvivaara Mining Company, a "considerable electricity consumer" in the region that may in future also produce uranium as a by-product from a nickel and zinc mine. 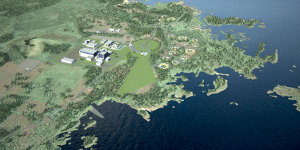 "All shareholders of Fennovoima will get the electricity generated by the future nuclear power plant at cost price in proportion to their ownership," said the company.